test that is aimed at measuring the English language ability of non native speakers wishing to enroll in English speaking universities around the world. This test is accepted by thousands of English speaking academic and professional institutions globally. This post contains all the quick information about TOEFL test in Nigeria,TOEFL Registration fee,how to register for TOEFL,test centers,how to prepare for the test and everything you need to know about TOEFL in Nigeria. Q: As a Nigerian I speak good English,why do I need to take the TOEFL test? The test is required to prove that your grasp of English is adequate enough for you to cope in an any foreign based tertiary institution,you should also know that not every foreign institution will require you to take the test,also apart from taking the test for tertiary institutions,you might also be required to take the test before you can apply for a job at a foreign institution or for your immigration requirement. Q: Types of TOEFL test? There are two types of TOEFL test in Nigeria which is the Internet-based test (iBT) or paper-based standardized test (PBT). The iBT test is popular among test takers,however some people still prefare the paper based test. Q: What else should I know about TOEFL test in Nigeria? 1. The test is divided into two types,the Internet-based test (iBT) and the Paper-based test (PBT). 2. The Internet-based test (iBT) lasts for 3 hours 10 minutes to 4 hours 20 minutes (excluding 10-minute break in-between) while Paper-based test (PBT) lasts for 2 hours 20 minutes to 2 hours 30 minutes. 3. The TOEFL test was started in 1964,over 52 years ago. 4. The aim of the test is to assess the English language proficiency of non-native English speakers through reading, listening,speaking and writing of the English language. 5. Your TOEFL test score is valid for 2 years. 6. The TOEFL test is taken more than 50 times a year in different test centers located across Nigeria. 7. You can only take the TOEFL test once in any 12 day period. 8. There are about 4,500 TOEFL test centers located in 165 countries in the world. 9. TOEFL test scores and grades are used more than 10,000 colleges, agencies and other institutions located in over 130 countries in the world. 10. 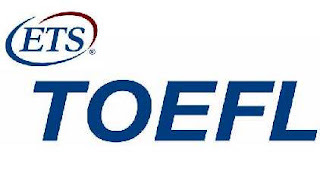 TOEFL is a trademark of the Educational Testing Service (ETS). The ETS is a private non profit organization, which designs and administers the tests. ETS also sends official score reports to institutions,following the test for about two years. 11. The Internet-based (iBT) TOEFL test comprise of Reading section that lasts for 60-80 minutes with 36-56 questions,Listening section lasts for 60-90 minutes with 34-51 questions, 10 minutes Short break, the Speaking section lasts for 20 minutes with 6 tasks,while the Writing section lasts for 50 minutes with 2 essays. 12. The TOEFL (PBT) Paper based test comprise of the Listening section that last for 30-40 minutes with 50 questions,Writing section last for 25 minutes with 40 questions,the Reading section lasts for 55 minutes with 50 questions and the TWE test last for 30 minutes and you will be required to write one essay. You will have to decide which format you want to take,the Paper based or Internet based. Q: How much will it cost me to register for the TOEFL test in Nigeria? The TOEFL Internet-based test (iBT) and paper-based standardized test (PBT) costs US $180 dollars, that is about N57,600 - N60,000 Naira Est. Q: Where are TOEFL test centers located in Nigeria? Q: Can any Nigerian sit and take the TOEFL test,what are the official requirements? There is no eligibility criteria or official prerequisite,any Nigerian can register and sit for the TOEFL test. Q: How do I register for TOEFL test online in Nigeria? Click on "Register for a Test". Choose a test date and a test center in Nigeria in other to reserve a seat. Make sure you fill correctly. Make payment via your credit/debit card,you can use your Naira based GTBANK card to pay,the Naira equivalent will be deducted from your account,if you bank with other Nigerian commercial banks,make sure you inquire from your bank about making international payments online. After submission and registration you will receive an email confirming your registration was received. An admission ticket will be mailed to confirm your testing date and location. Print this out and bring it to your test center in Nigeria. If your having problems with online registration you can email TOEFLOnlineRegHelp@ets.org for assistance. Q: How To Prepare For The TOEFL test in Nigeria? 1. Know the format of the TOEFL Test you are sitting for ie iBT or PBT. 2. Go online to practice different TOEFL test questions,you can check out Magoosh or some other website online,these websites offer a complete TOEFL course, including video lessons, practice questions Etc. Read the practice test questions carefully.Try to answer them and then check the answers. 3. You should know why your taking the test,this will help you to be more focused. 4. Have an aim,you should target and set a minimum score,that way you will work harder to achieve it. 5. Create an efficient study plan that will allow you to study for some hours or minutes in a day. 6. TOEFL test is made up of reading, listening, speaking and writing,you should create a time table and allocate specific time/ hours for practicing each part. 7. After practicing some tests,go ahead and focus more time on the parts with the lowest scores. 8. Make research online and gain more knowledge. 9. Once you begin to practice often,you will gain more speed and accuracy,that is essential if you want to score a very high score. 10. Stay away from distractions and focus. 11. Always set up a timer,or use a clock to monitor your time and speed. 12. The aim is to be able to finish your TOEFL test on time and also to answer as many questions as possible correctly (Speed & Accuracy).